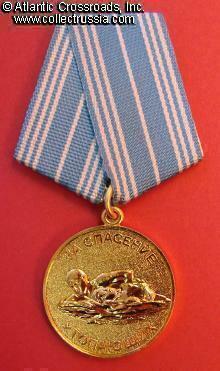 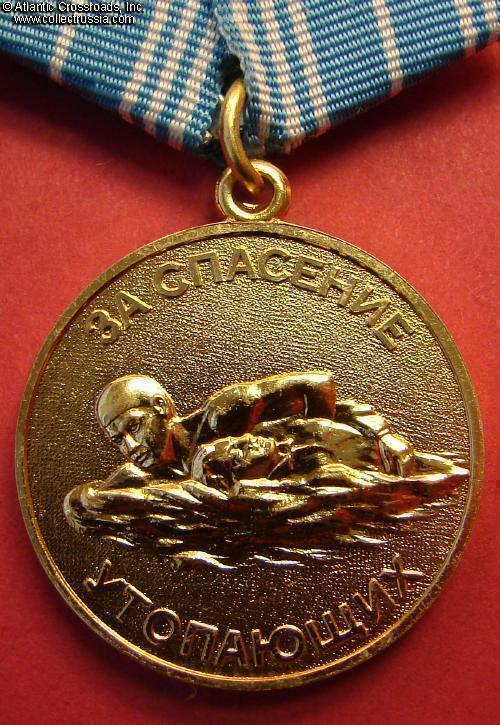 Medal for Rescuing a Drowning Person, transitional post- Soviet issue, 1992-1994. 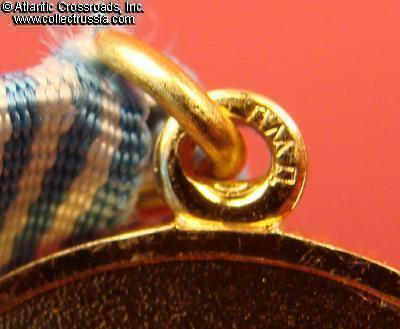 In brass; measures 32.1 mm in width, weighs 16.5 g. Features rounded eyelet, with stamped mint mark "LMD" (Leningrad Mint). 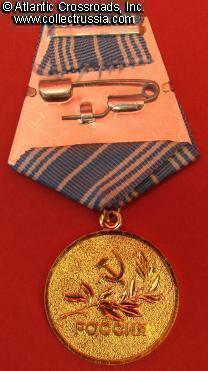 The reverse has raised inscription "Russia" and the old style hammer and sickle emblem. 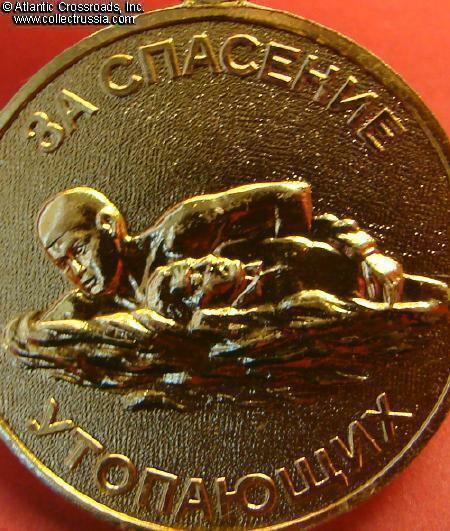 Excellent, near mint condition. 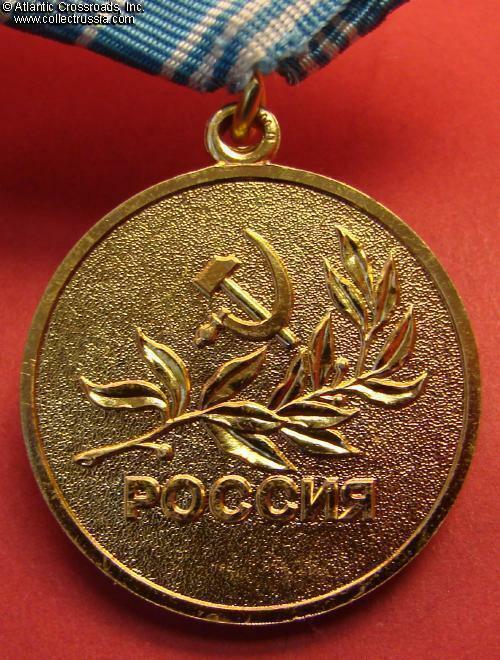 This medal is one of the transitional awards of the Yeltsin period, issued only during a brief period after the collapse of the Soviet Union and until the introduction of the completely new Russian award system.